There’s no better accessory for late summer weddings, garden parties, or weeknights (why not?) than a flower crown. Whether it’s a simple band of greenery or a riotous floral bouquet, donning the season’s bounty always puts us in a festive mood. It turns out it’s surprisingly simple. 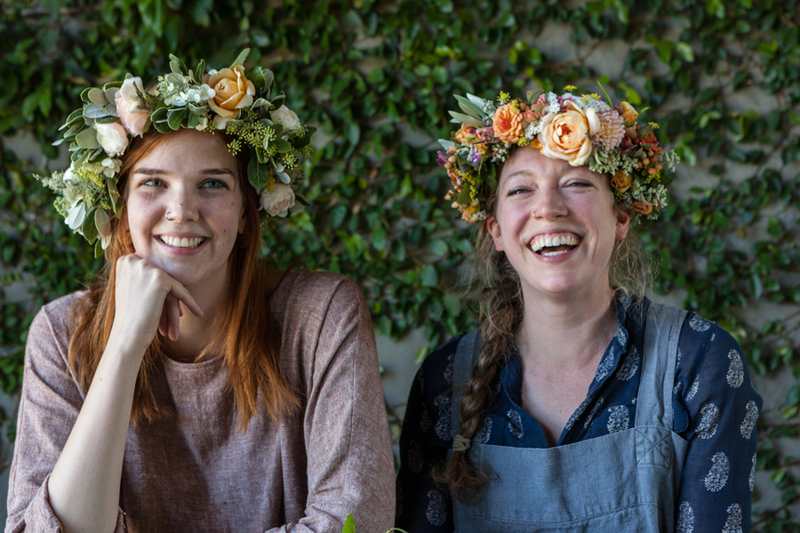 You’re just a trip to the craft store and a walk through the garden away from getting your midsummer night’s dream on. Cut a section of bark covered wire equal to the circumference of your head. Create a loop at each end of the wire and twist to secure. Trim sharp edges of wire, if necessary. 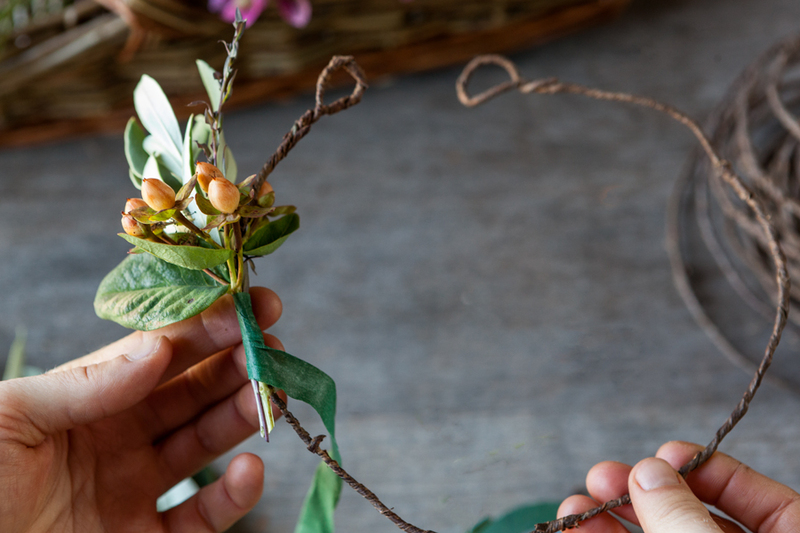 Trim the first few flowers or pieces of greenery you would like to attach to the crown, leaving a 1-2” stem. 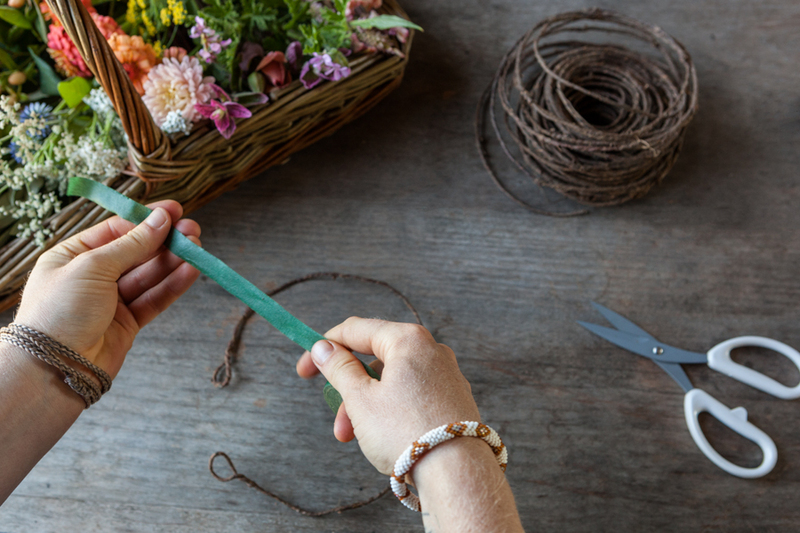 Cut a length of floral tape that will be easy to work with, approximately 2 feet long. Stretch and warm up the floral tape in your fingers slightly to prepare it to adhere. Starting at one of the loop ends, hold the greenery to the bark wire with the stem end facing away from the loop. Wrap the floral tape around the stem several times. 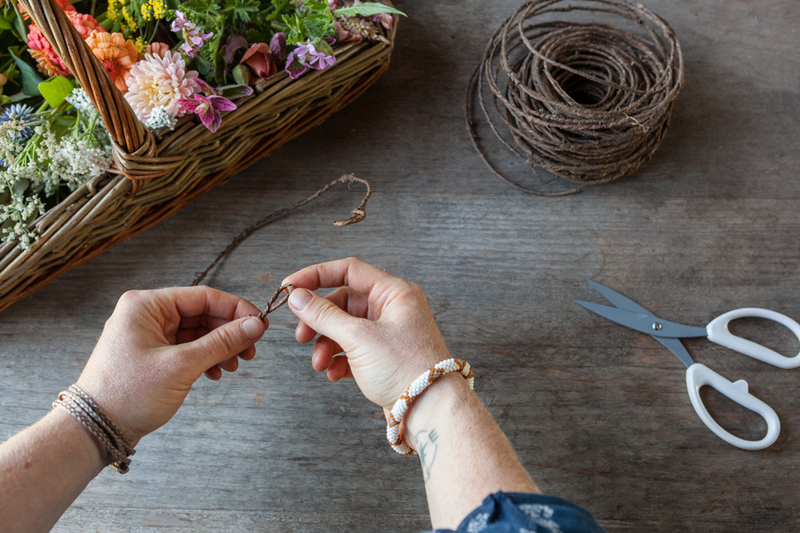 Wrap as snugly as possible—the tape will stick to itself to hold the greenery in place. 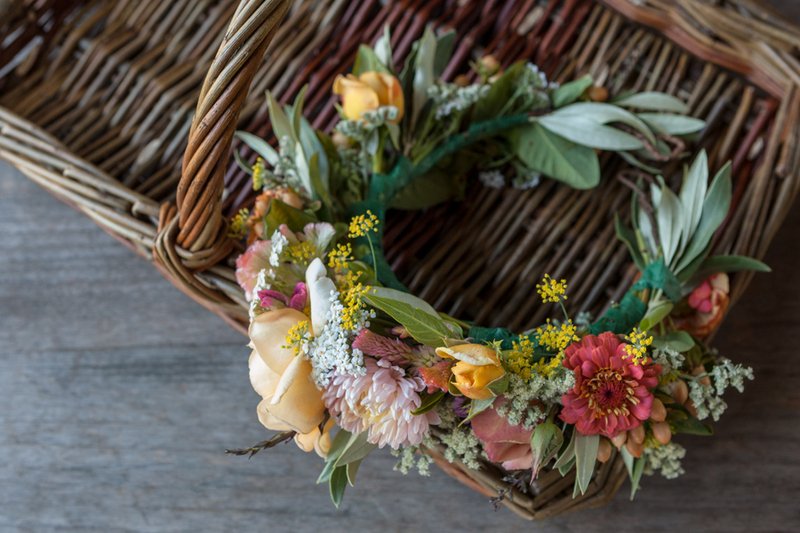 Attach more flowers and greenery to the crown, overlapping leaves over the wrapped stems to hide them. Continue building the crown in the same way, working from one end of the crown to the other. 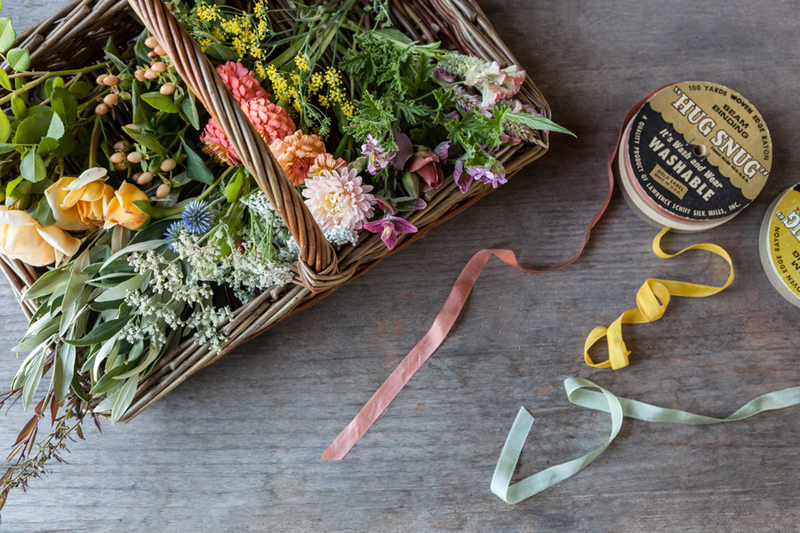 When you run out of floral tape, wrap it around itself to adhere and start a new length of tape in the same way. When you reach the end of the crown, attach a few flowers or leaves facing the other direction to hide the wrapped stem. Trim any protruding stems or wire pieces and adjust flowers as needed. Cut a piece of ribbon to desired length. Thread ribbon through both loop ends of the crown and place gently on your head. Tighten until crown fits comfortably, then tie ribbon in a bow. 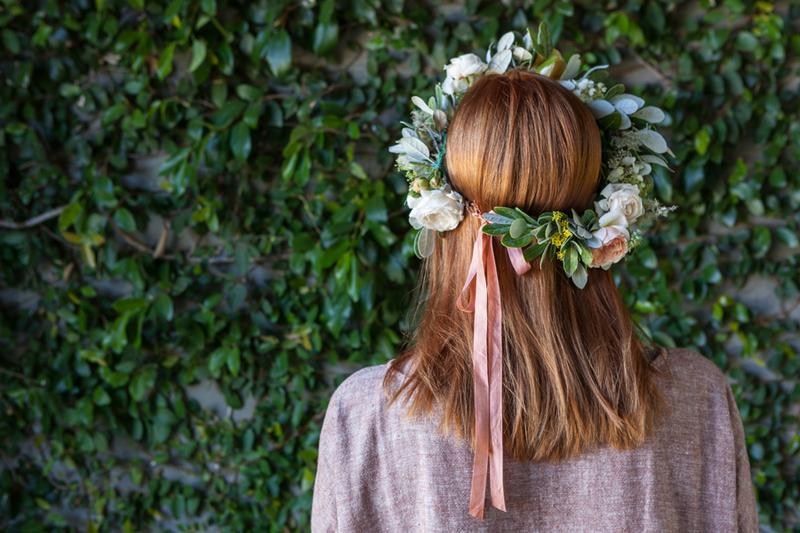 Wear your flower crown with pride! For the best effect, vary shapes and sizes. We love incorporating flower buds, berries, and airy accents like fennel flowers and moss. Try adding a larger statement flower off-center. 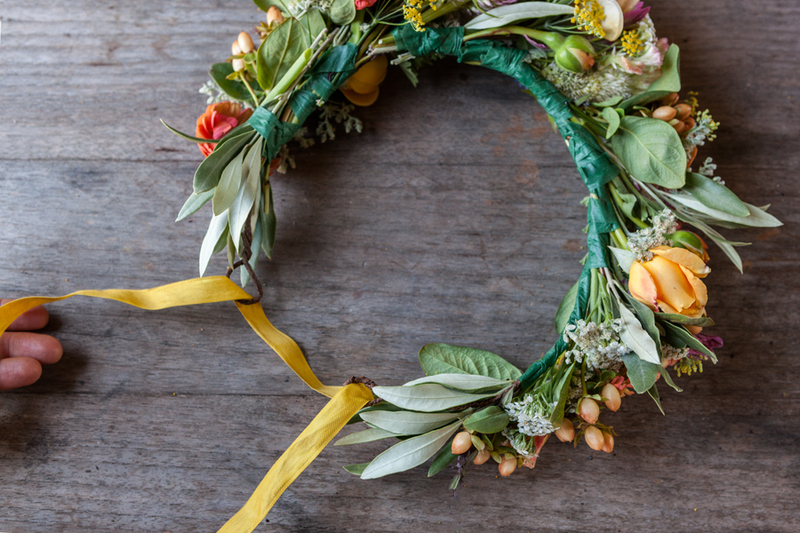 Fresh flower crowns will wilt after a day or so. Crowns will keep for approximately two days if stored in the refrigerator. 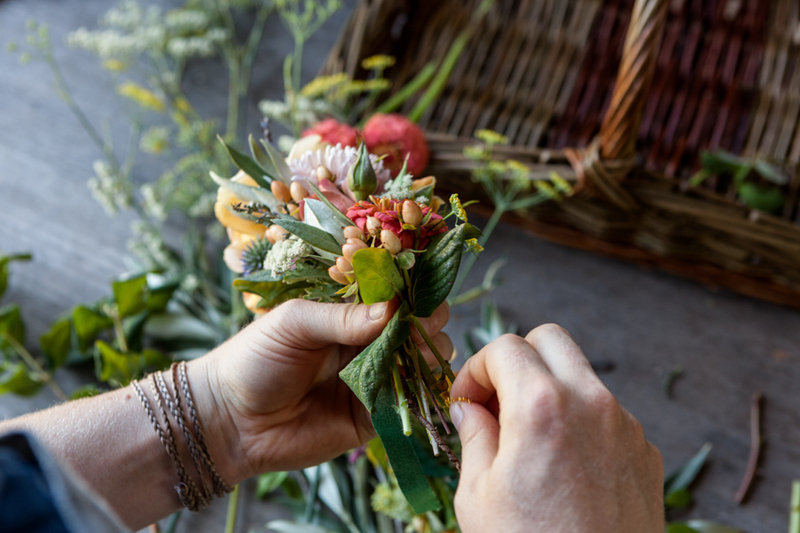 For a longer-lasting crown, use dried flowers or hardy varietals like strawflower, celosia, gomphrena, or statice. The Occidental Arts and Ecology Center (OAEC) folks have lived peacefully in an intentional community for nearly 25 years, co-owning some 80 acres of pristine growing grounds near the ocean. From this place of centering, they teach thousands of people how to farm and how to honor and preserve biodiversity. They maintain, enlarge, and propagate a “mother garden” that contains a wild amount of biodiversity and offers a continuous food production cycle amid West County’s wild weather. They paint and hold Chauttauqua and even produced a cookbook. All of which is to say that the OAEC community is pretty amazing. But there are some things that they do that you might be able to do, too. Like grow a garden. Like buy what you can’t grow from those who can. Like cook at home. Like remembering to smile. 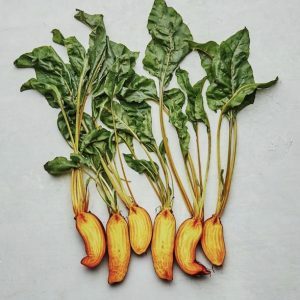 These and other simple lessons are among the pleasures of the OAEC’s eponymous Cookbook (Chelsea Green; $40), a richly illustrated photo-heavy 416-page declaration of intent, process, and good ways to eat from the land — whatever your land might be. Founded by seven friends in 1994 as the Sowing Circle intentional community and soon incorporated as a 501(c)3, the OAEC exemplifies the human interdependence that their innovative permaculture design work encourages in the plants and trees that surround them. 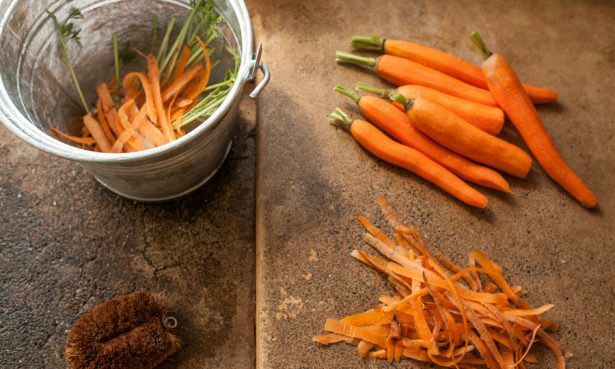 Hosting workshops and classes, retreats and day visits, the OAEC has a robust seasonal schedule, so the recipes in its cookbook are cleverly calibrated for either four to six people or 30 to 40 hungry folks. They’re used to feeding a crowd, and an enduring and crowd-pleasing dish that visitors have come to expect is one of their epic salads. 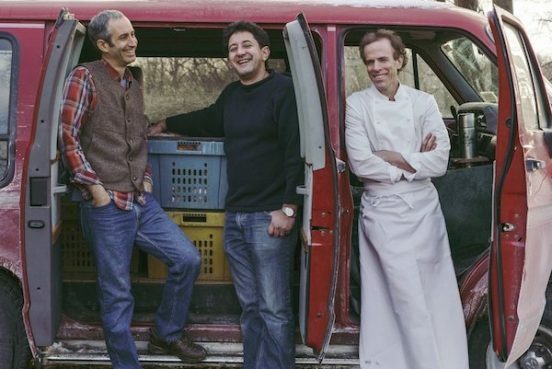 Called the “biodiversity salad mix,” this collection of propagated and foraged foods changes with the seasons, as the cookbook deftly illustrates. Mother Garden biodiversity director Doug Gosling, in charge of the collective’s nightly salad, has such a wealth of options available that he sometimes picks solely for color palette. In spring, it might contain tulip petals and broccoli leaves amid the myriad; in the summer, rose petals and celery flowers. While his salads always feature a lettuce or green of some type, the point being celebrated is that “salad” isn’t solely Romaine or iceberg glopped up with something from a bottle but rather, a living expression of what’s happening on the earth the very day you sit down to eat it — and that said eating should be fearless in its wandering and appetite for taste. 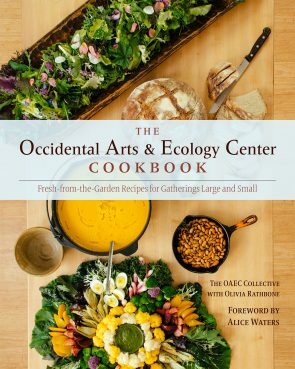 As pleasurable to simply read as it is to cook from, the OAEC Cookbook, primarily written by Olivia Rathbone but naturally contributed to by all members of the community, offers such wisdom as that chamomile will get bitter if boiled (and make you sleepy! ); how best to cook cactus; that seed saving is a radical act; how to start your own sourdough; what the role of rosemary is in transforming whipped cream; that carnations taste of cloves; why lemon verbena is good with steamed rice; and how sometimes in the winter you are simply so very glad that all visitors have gone home and you’ve got the whole 80 acres to yourselves. Join us on Thursday, March 15, when members of the OAEC are honored at a special Taste of Place dinner featuring recipes in their cookbook. Corn has been a staple in the region now known as Mexico for some 11,000 years. It is more than a foodstuff; it is an entire way of life. And, as with so much else in the modern world, it is a way of life that is dramatically changing. 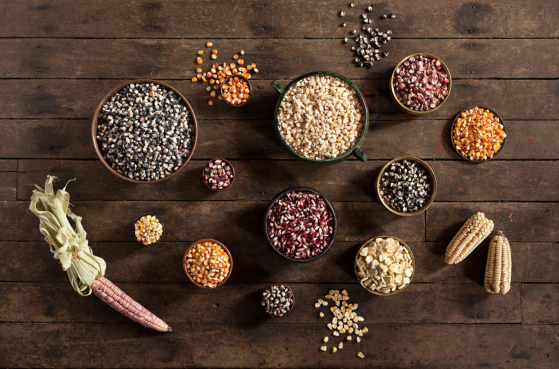 Once home to some 60 so-called landrace corn varieties, that is — corn grown and adapted to particular areas and climates — Mexico has slowly Americanized its fields, favoring just a few varieties over the variations the elders once valued so highly. Where corn once flourished in every state, it is now mostly grown in just three. Even NAFTA plays a role, introducing inexpensive American yellow corn to which consumers quickly adapted, abandoning the indigenous varieties with which they grew up. With that eclipse in choice, so comes a change in taste and manner, and ultimately — a change in health, resulting in the diabetes and heart disease that marks the Western diet. In addition to the impact on citizens’ health, losing heirloom varieties means losing taste. The taste that past generations knew, a taste that informed family recipes which no longer have the same flavor. Lore and knowledge have gone, too. Several crusaders are working to restore Mexico’s rich maize legacy, including Rafael Mier, who has founded the nonprofit Organización de Tortilla de Maíz Mexican to educate his fellow countrymen about how to make more delicious tortillas. The secret? Start with more delicious corn. Even in Mexico, most tortillas are made with water and a powdered mix called masa harina. The difference is like a pancake-mix pancake versus one made from scratch with freshly ground flour: Alike in name only. Mier is an unlikely crusader, a businessman who one day three years ago thought to grow his own popcorn only to discover that there was no seed available near him. Nor was there any for sale the next state over. And so on. A simple desire to have freshly popped corn to snack on has led him to devote himself full-time to his nonprofit and resign his role as CFO to a business. Thank goodness for that. Because corn is an endangered commodity in Mexico, home to the Mayan culture which believed that man was created of corn. We grind heirloom corn at our Healdsburg store and purvey fresh polenta and cornmeal from it. We carry handsome, locally-made oak and walnut tortilla presses. 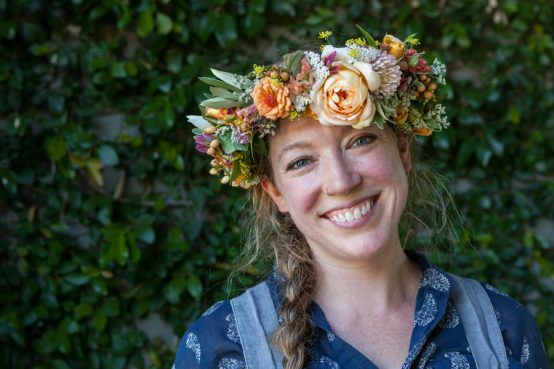 We’ve invited restaurateur Natalie Goble to join us this month to demonstrate the easy art of making fresh masa. We’re interested in corn and preserving its important role in Western life. We hope that, the more you know, the more interested you will be, too. A very culture depends on it.